Even though the holidays out of the way I like to keep the winter feel around the house. 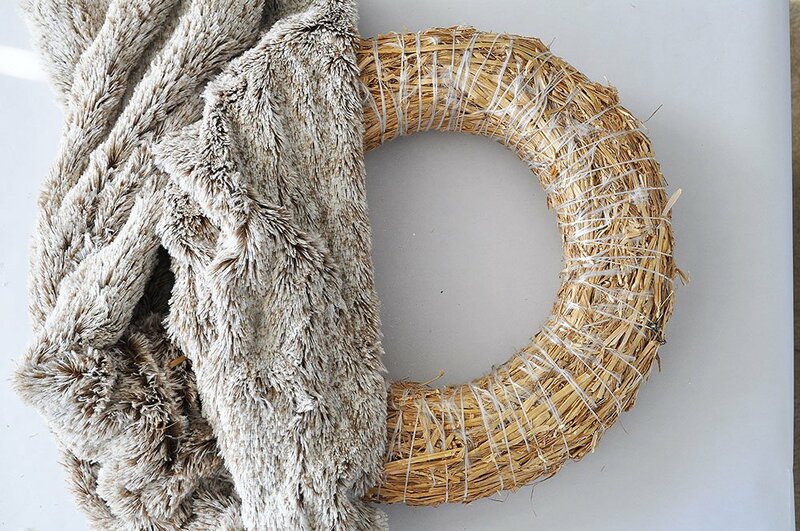 This Rich Brown Faux Fur Wreath is my project of choice this year. 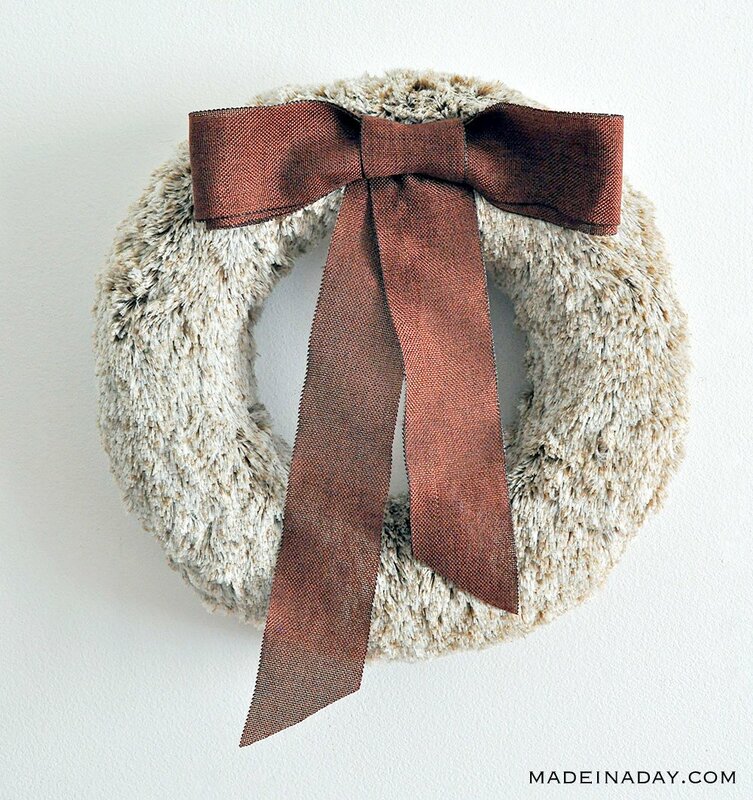 You can find this and more wreaths on my Wreaths + Plants page. 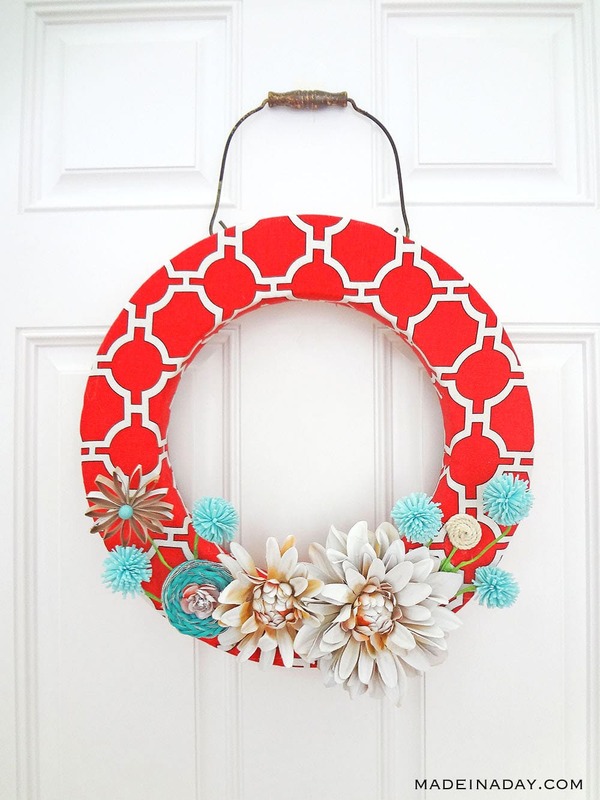 You are not going to believe what I used to make this wreath! I was shopping at Walgreens and spotted a faux fur infinity scarf and fell in love with the white/brown color. The dark brown roots with light ends on the fur had me at hello. 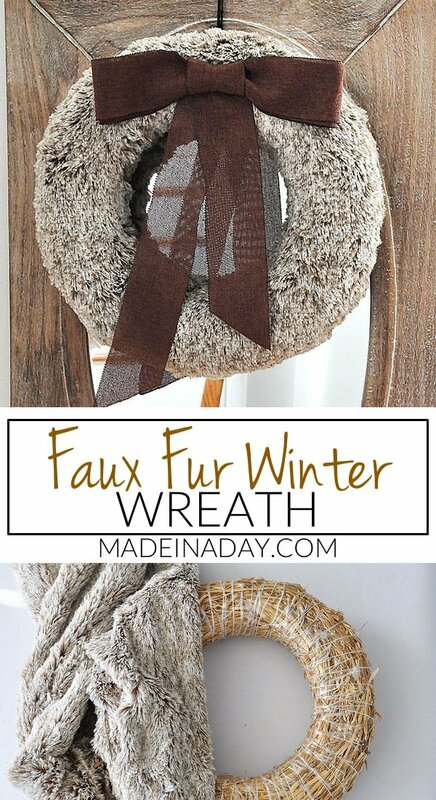 I knew the minute I saw it would be an amazing Faux Fur Wreath. 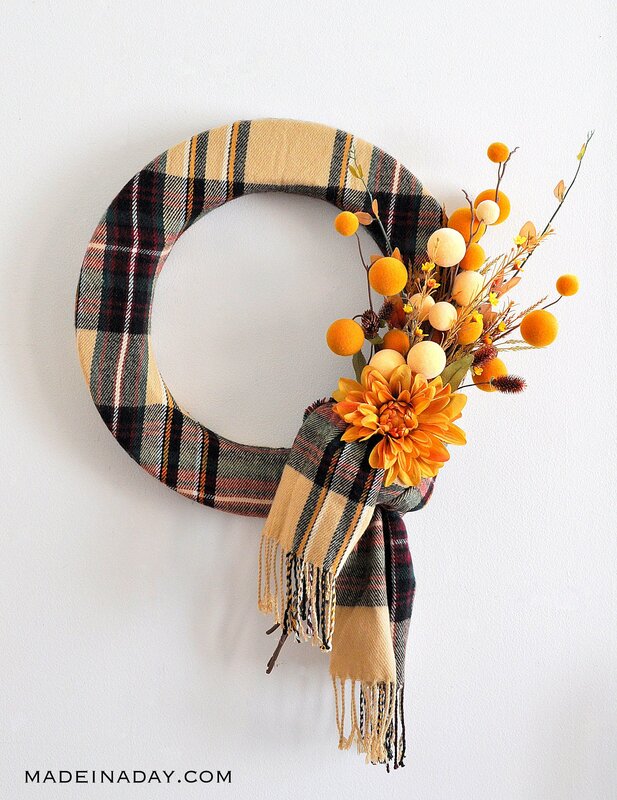 I have made wreaths out of scarfs before, like my Fall Plaid Scarf Wreath, the trick to making these wreaths is to keep the pattern without overlapping the fabric. 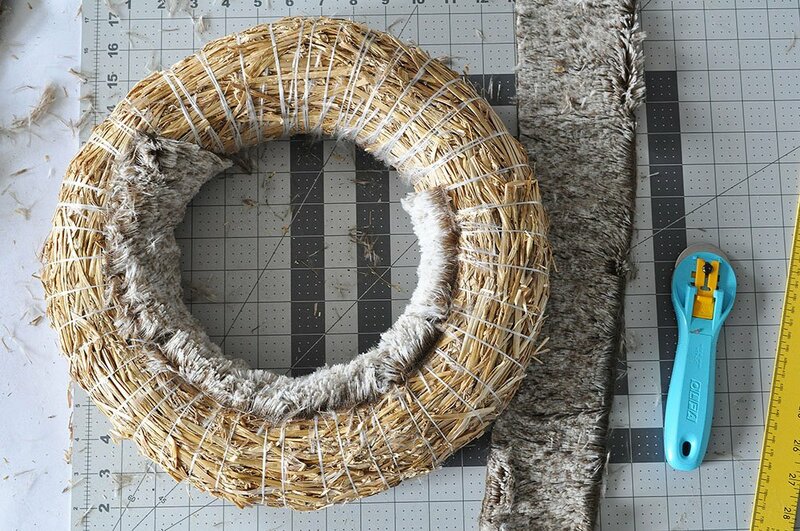 Let me show you how to wrap the fur smoothly around a straw wreath. 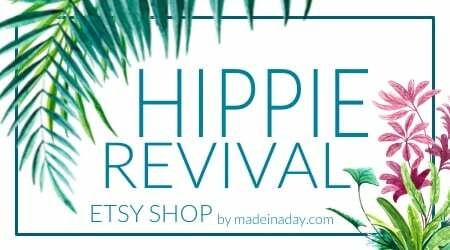 This is a great to upcycle for a new or old scarf. 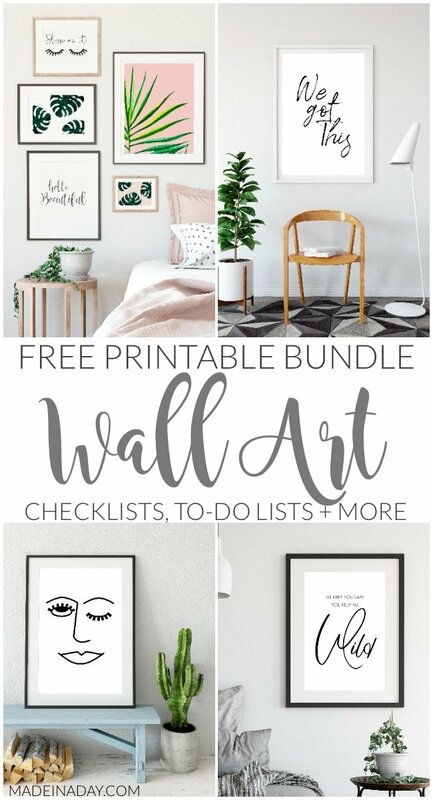 A fun way to perk up your winter decor. 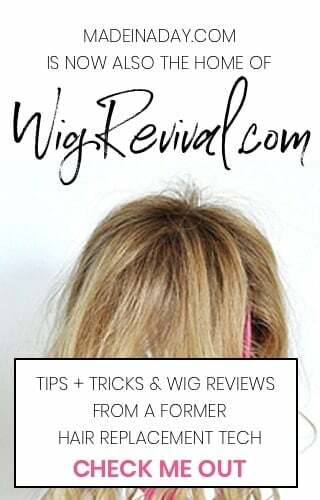 Here’s how I made it. Cut the seam end of the scarf across to make it one long strip of fabric. Carefully cut the fur fabric next to the long seam to open the fabric and have one long piece of fabric. 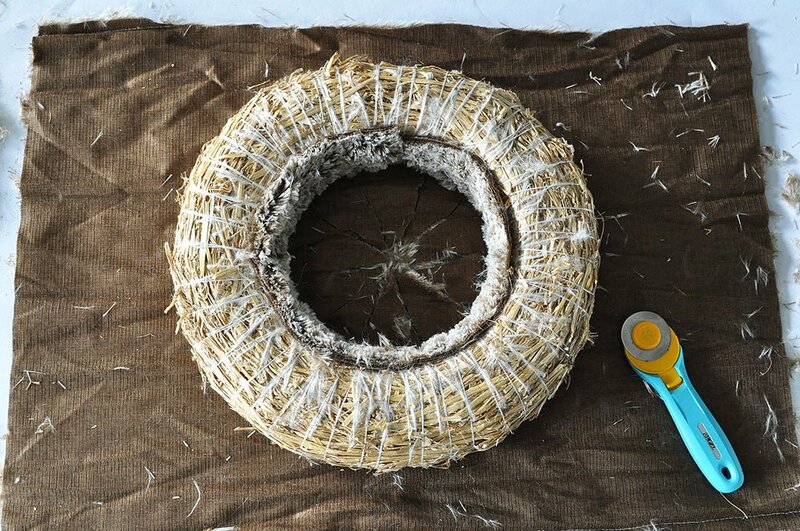 Cut a strip of fur and hot glue it to the inside rim of the straw wreath. 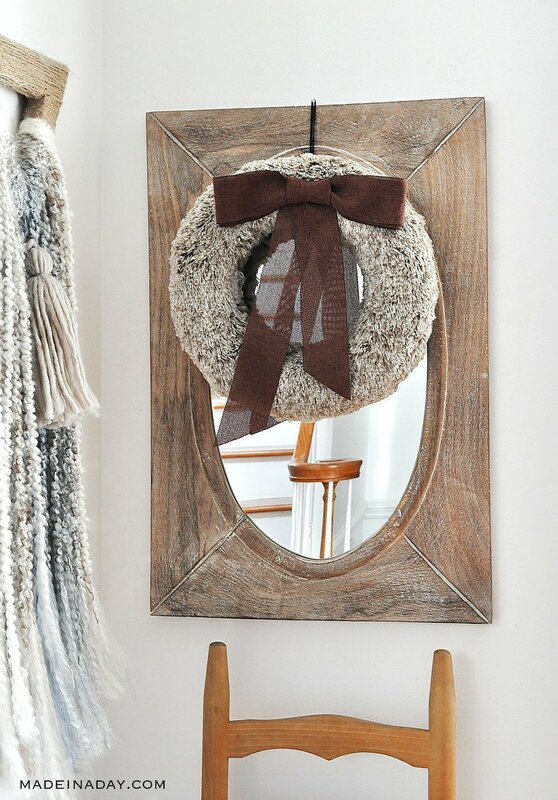 Lay the fabric out and place the wreath evenly in the center. Cut the corners off of the ends of the fabric. 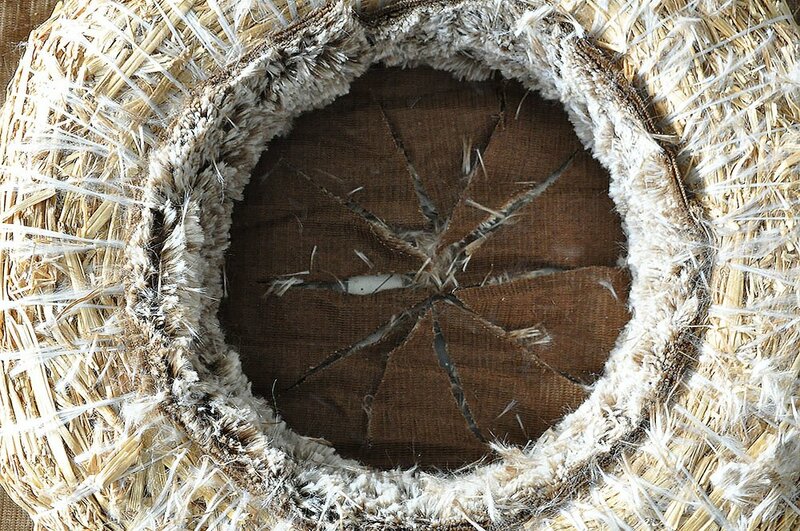 Use a rotary cutter to cut criss-cross pattern in the fabric in the center of the wreath. 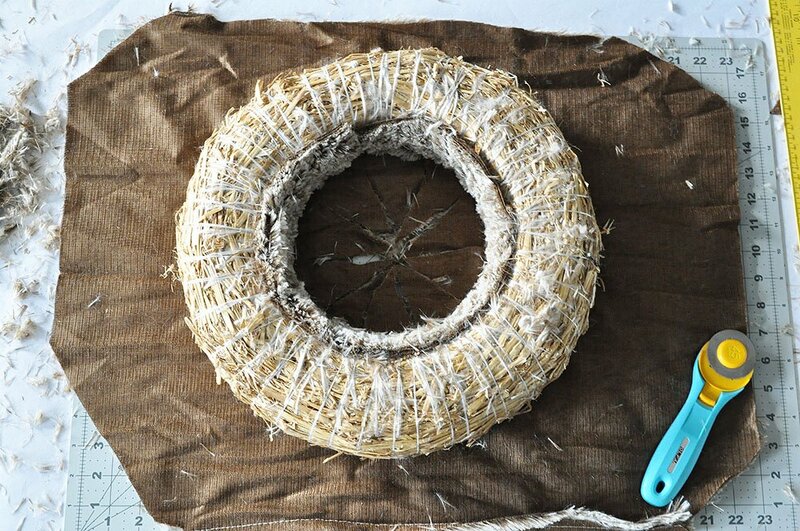 Pull the fabric strips in the center of the wreath and hot glue them to the back of the wreath. 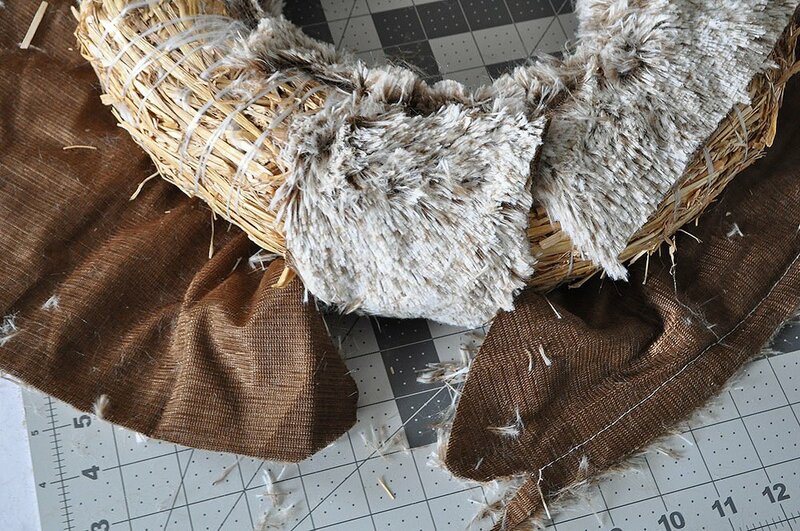 Pull and tug the fabric on the outside of the wreath around the back and over the center strips. Trim excess fabric to get the fur to lay smooth. Add extra fur pieces to fill in any holes. Make a simple bow with the brown ribbon by taking two loops of ribbon staple them together at the ends. Cut a small piece of ribbon for the center of the ribbon, staple the small piece in the center of the two loops. Cut one long strip of ribbon and fold in the center and staple to the back of the top bow loops. Hot glue the ribbon to the wreath. This is such a fun addition to my winter decor. 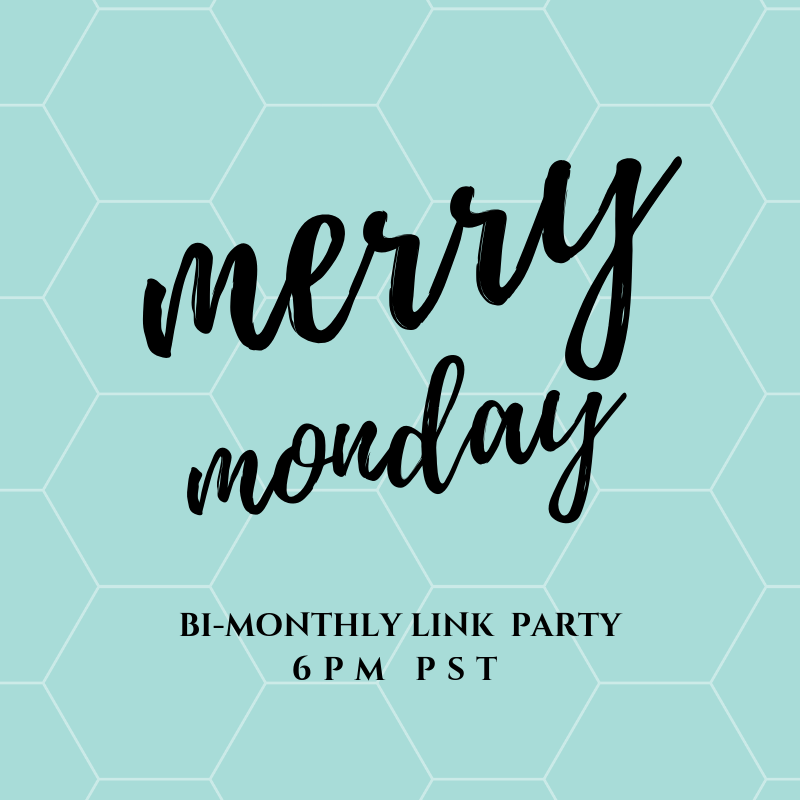 The warm rich color of the brown ribbon just makes it pop! It’s hard to believe this was a scarf! 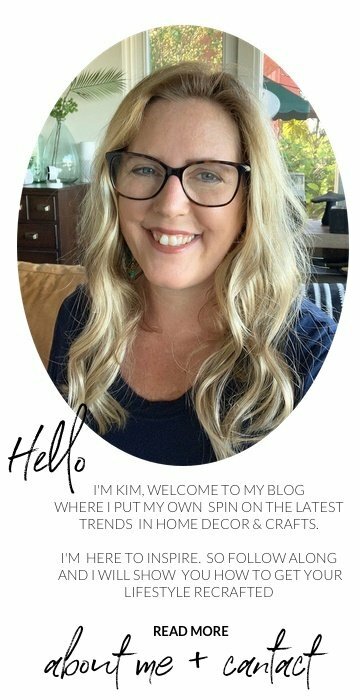 This is gorgeous, Kim! I saved it to my Christmas AND winter boards! So smart, too! I LOVE this! One of my favorite wreaths you’ve made so far. I love the color and it would be perfect for spring too (looks like rabbit fur). You too sweet! It does look like rabbit fur. 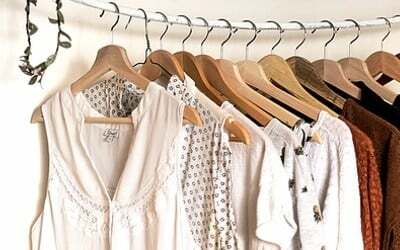 I love the shade of the fabric. Glad you like my wreath.